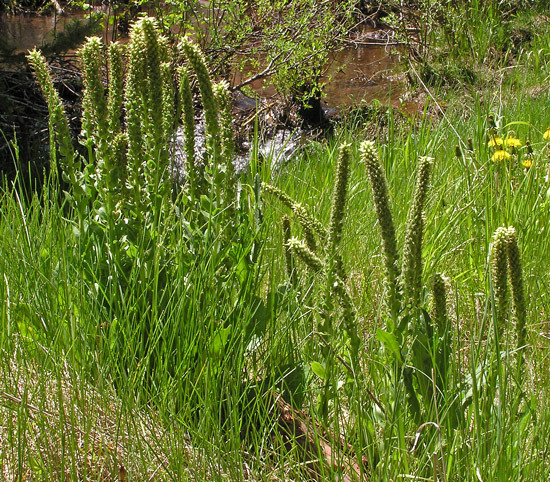 Besseya ritteriana (Ritters' Kitten Tails). 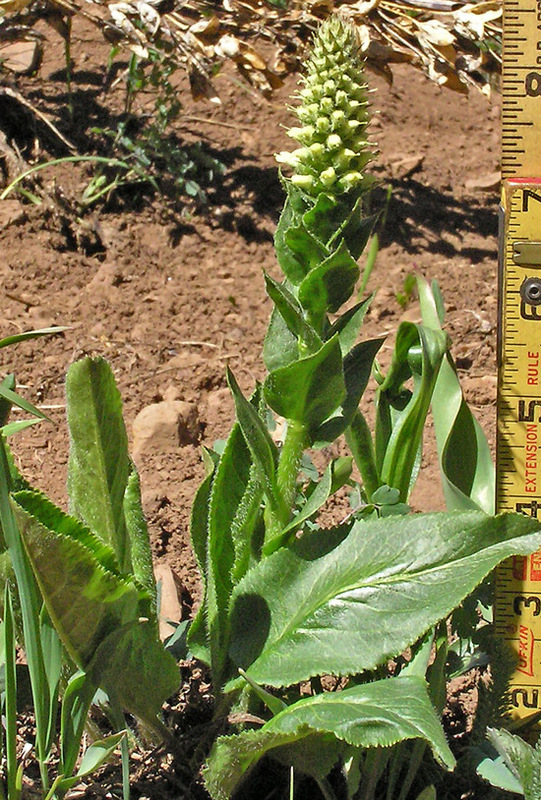 Synonym: Synthyris ritteriana. Montane, subalpine, alpine. Meadows. Summer. Above: Ryman Creek Trail, June 10, 2016. Left: Horse Creek Trail, June 6, 2004. 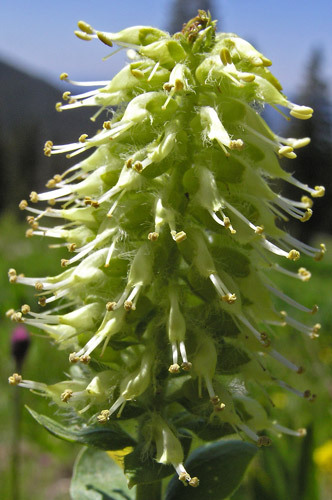 Since Kitten Tails bloom early and tend to grow scattered in high meadows, often among much taller or showier plants, they are known to few hikers. 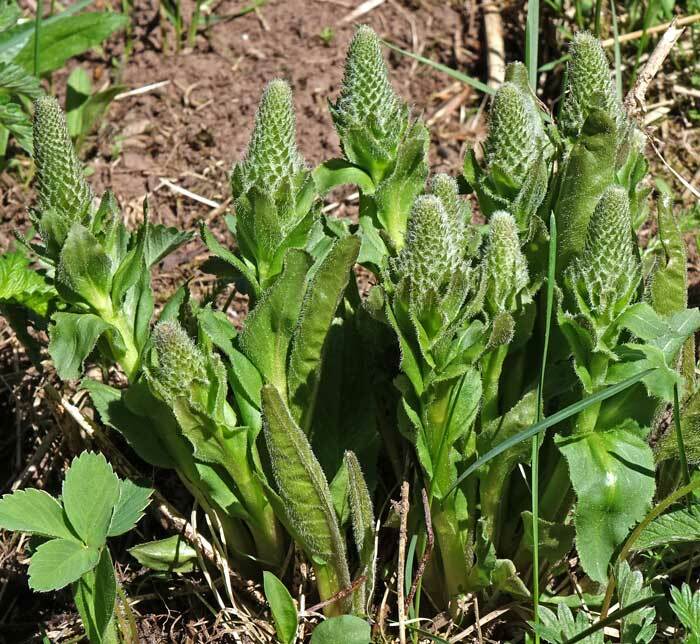 Find them and take a close look and you will see them to be a fascinating member of the Plantain Family. Their tiny yellow/white flowers cluster tightly at the top of sturdy stems. 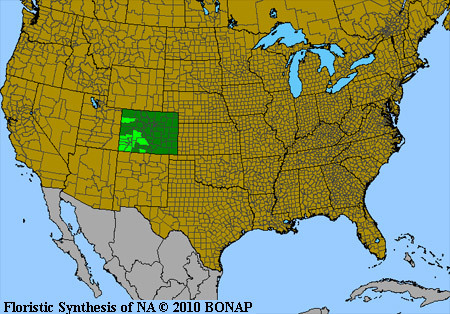 Click to see Besseya alpina, the tiny alpine cousin of Besseya ritteriana. Ryman Creek Trail, June 13, 2007. 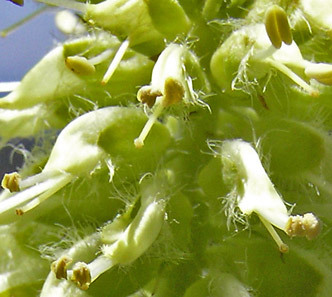 After flowers fade, the seed stalks elongate. Below Helmet-Spiller Ridge, June 22, 2009. Lizard Head Trail, August 31, 2004. 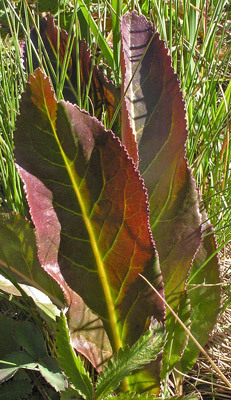 By fall, leaves have often grown to eight inches long and have turned lovely maroons.